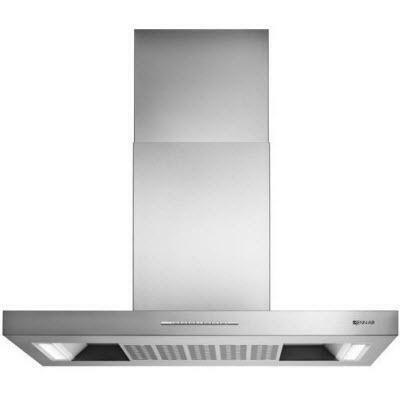 This Jenn-Air® 42-inch island-mount canopy hood features premium craftsmanship, auto sense, 600 CFM blower, boost function, dishwasher-safe metal filter, LED task lighting, quiet operation, recirculating installation option, sleep mode, clean filter indicator and 3 fan speed settings. A convenient indicator light reminds you when it?s time to clean the dishwasher-safe filters. Additional Information 78,000 BTU rating; Premium craftsmanship; Auto sense; Boost function; Dishwasher-safe metal filter; LED task lighting; Quiet operation; Recirculating installation option; Sleep mode; Clean filter indicator; Removable grease filter; Push button control. 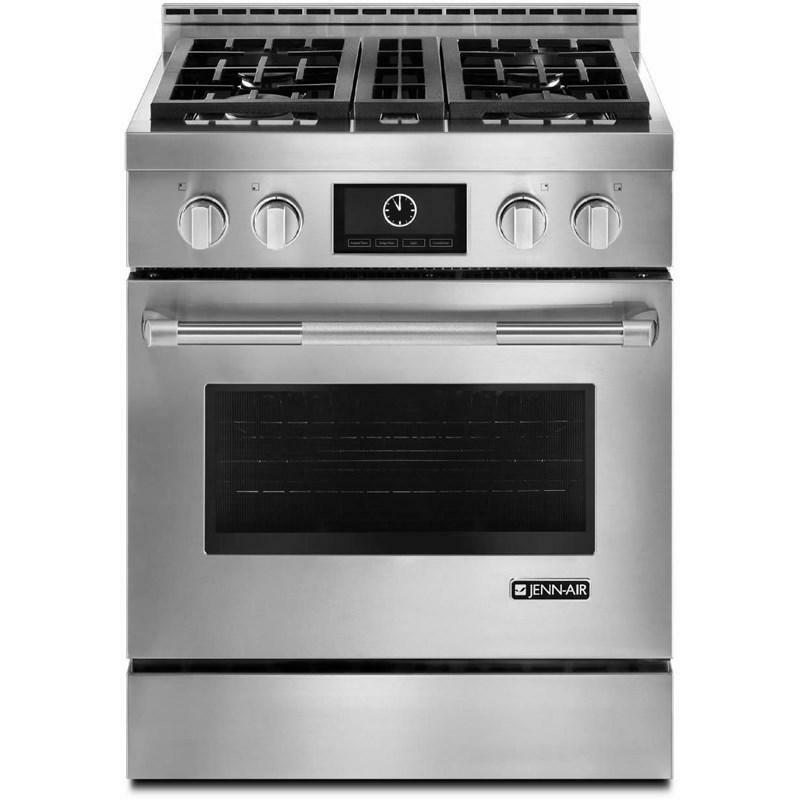 Jenn-Air 30" Pro-Style® gas range with MultiMode® convection. 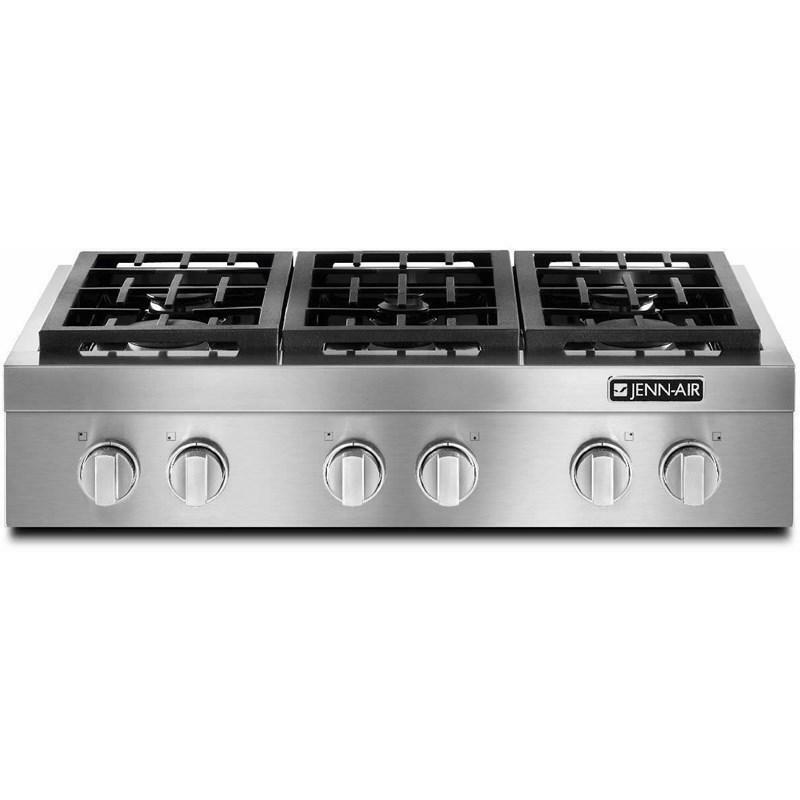 This gas range features a Dual-Fan MultiMode® True Convection system, one 20,000 BTU stacked PowerBurner and heavy duty cast-iron grates. Capacity (cu. ft.): 4.1 cu.ft.